The rate of hepatitis C virus (HCV) among pregnant women is spiking and increasing perinatal HCV transmission risks, but infants exposed to the virus are not sufficiently screened, according to a recent study. 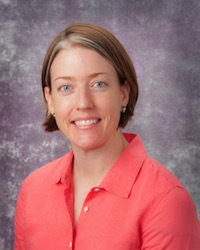 Lead author on the study, Catherine Chappell, MD, MSc, Department of Obstetrics, Gynecology, and Reproductive Sciences at Magee-Womens Research Institute, told MD Magazine that her team is currently in phase 1 of another study investigating HCV antivirals in pregnancy to see if the drug concentrations are the same as those who are not pregnant. As background for that study, they wanted to know how common HCV infection was in their local population of pregnant women and how frequently transmission to infants occurred. “We found that HCV infection increased 60% among women delivering at Magee-Womens Hospital and that most babies exposed to HCV during pregnancy, that were receiving care in our system, were not being screened for HCV,” Chappell said. A recent report from the Centers for Disease Control and Prevention (CDC) shows an association between the increase in HCV infections and the opioid crisis. Because HCV symptoms may not appear for decades, people often go undiagnosed, which delays treatment. In addition, diagnosing infants and toddlers can be complicated. The HCV antibody test results aren’t reliable in exposed children younger than 18 months because they receive HCV immunoglobin G antibodies through the placenta, leading to both false-positive and false-negative results. Data for the study came from 1043 HCV-infected women with singleton pregnancies that delivered between 2006 and 2014 at Magee-Womens Hospital of the University of Pittsburgh Medical Center (UPMC). Of the infants born to those women, 1025 were identified as receiving well-child services in the UPMC system. Results showed that during the time period of the study, the rate of HCV infection among pregnant women rose 60%, from 1026 per 100,000 women in 2006, to 1637 per 100,000 women in 2014. HCV-infected women were more likely to be less than 30 years of age (67% versus 53%; P < 0.001), white (93% versus 72%; P < 0.001), have Medicaid (77% versus 29%; P < 0.001), have opiate use disorder (68% versus 1%; P < 0.001), and have other substance use (11% versus 0.4%; P < 0.001) than women uninfected with HCV. Of the 1025 infants exposed to HCV, 323 received well-child services and of those, 96 were tested for HCV. Those whose mothers were diagnosed as having opioid use disorder were more likely to be tested for HCV. Chappell said there could be several factors at play for the low HCV screening rates. Because the test for HCV in children cannot be reliably performed until 18 months of age, pediatricians may forget perinatal exposure. Electronic health records might not transfer that exposure history from the material record to the infant record, so doctors must rely on mothers to report having HCV. HCV is also highly stigmatized because of the association with drug use and pregnant women may not know there is a risk for perinatal transmission. The study, "Hepatitis C Virus Screening Among Children Exposed During Pregnancy," was published online in Pediatrics this month.